As we come to the close of the 2017 calendar year, we are mindful and somewhat saddened by the tragic acts of nature that beset many of our nation's cities and states impacting our affiliates and members. It is difficult to find adequate words to console the families of those whose lives and properties were lost in Florida, Houston, Puerto Rico, U.S. Virgin Islands, California and our neighboring Mexico. We can only pray for healing, hope, strength, and peace for all affected. And we must continue to share our time, talent, energy and resources in helping one another, especially our schools, students, teachers and many families affected. During these tragic times, it was also reassuring to witness the various acts of kindness and heroism from our first responders and the good will of many strangers who decided to offer real help and support to the victims. In Puerto Rico "¡se levanta!" is the universal cry of the human spirit of resurgence and resilience, as it is also true in the other cities impacted by the 2017 tragedies. So as we celebrate this Christmas and Holiday Season with family, friends and loved ones, lets promised to be mindful and prayerful for a moment of joy and happiness for all. Henry Van Dyke in his book, The Spirit of Christmas, said, "...that probably the only good reason for our existence is not what we are going to get out of life, but what we are going to give to life; to close our book of complaints against the management of the universe, and look around ourselves for a place where we can sow a few seeds of happiness — If we are willing to do these things even for a day? Then we can keep Christmas." In this spirit, NABE dedicates this 2017 Christmas and Holiday Season to ALL of our Teachers, especially those like Teacher Bonnie as featured in the Uplift Post here or click on the image. Let us make this a new birthday of kindness and love that shall endure. That is our Christmas hope, our Christmas wish. May this Christmas and Holiday Season burn away all of our sadness and bury the tears so that our lives is perpetually filled with happiness and joy. Wishing everyone the best during this joyful season. 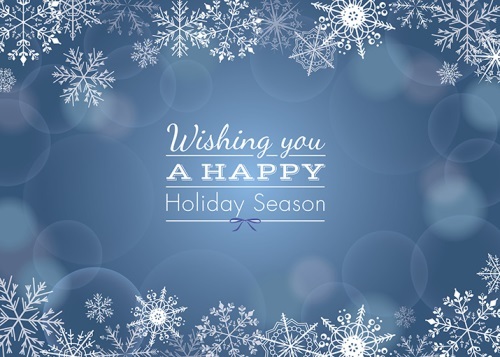 We hope your holidays are filled with festivities and joyful memories. I wanted to share some good news with you that through the extraordinary and immediate assistance and support from one of NABE's most treasured friends (Silvia Dorta Duque Reyes). With a 24-hour turnaround time, Silvia was able to convince Benchmark Publishers, Sera and Tom Reycraft, to contribute $3,000 to pay for the shipment of materials to Puerto Rico. As many of you know, Silvia is one of the top training officers with Benchmark and also an expert in the Literacy Standards in Spanish. She was instrumental in getting benchmark to sponsor the shipment of 9 pallets of merchandise, school supplies, dry goods, water etc. to the much needy people of Rincon, PR for delivery on December 22. 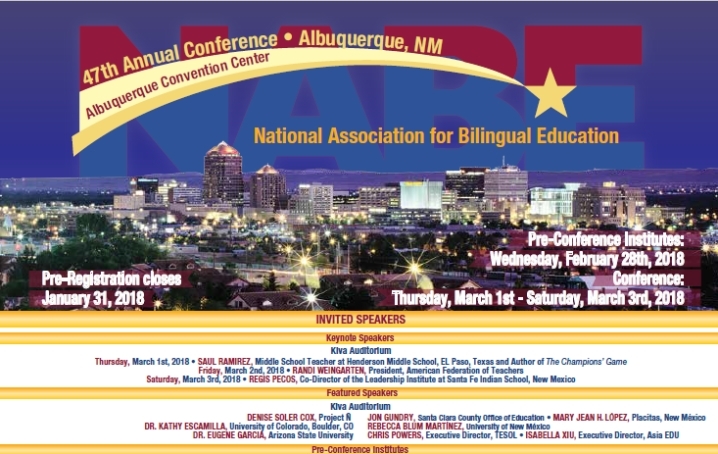 Silvia, as we all know, is a regular special presenter for many years at the NABE Annual Conferences and DL Institutes. She also has a passion, a big heart, and a dedication to helping our most needy students, teachers, and families touched by the recent tragedy in PR. WE congratulate and celebrate Silvia for these and many other efforts and initiatives that she has championed throughout her life in the areas of professional development for teachers, equity, access, social justice and education for all students, especially our Dual Language and EL's. Please take a moment to celebrate Silvia when time permits. In addition, one of NABE's most valued partners, AFT, via Cesar Moreno Perez, was the instrumental key in getting support for the transportation and delivery of the merchandise to PR. We know budgets are tight so for the rest of 2017, Rourke is offering your school a custom 50 title book collection FREE with any purchase over $1,000.00. All purchases or P.O. 's must be received by Dec. 31. Shop the online catalog here.